Learn how to solve challenging machine learning problems with TensorFlow, Google’s revolutionary new software library for deep learning. If you have some background in basic linear algebra and calculus, this practical book introduces machine-learning fundamentals by showing you how to design systems capable of detecting objects in images, understanding text, analyzing video, and predicting the properties of potential medicines. 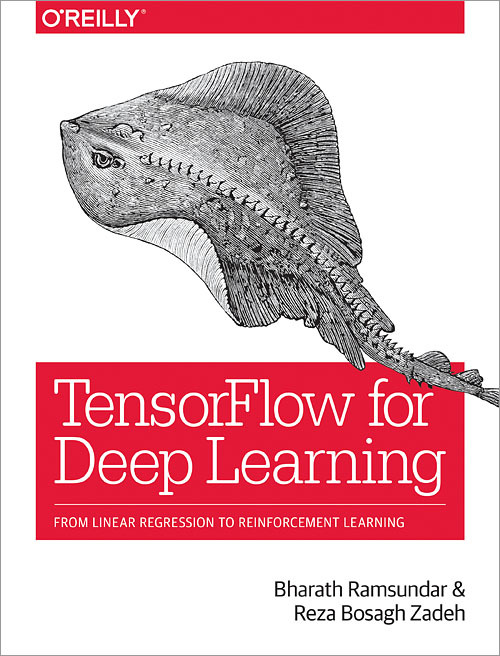 TensorFlow for Deep Learning teaches concepts through practical examples and helps you build knowledge of deep learning foundations from the ground up. It’s ideal for practicing developers with experience designing software systems, and useful for scientists and other professionals familiar with scripting but not necessarily with designing learning algorithms.